Feeling a little forgetful? Perhaps it’s time to take a look at your diet. 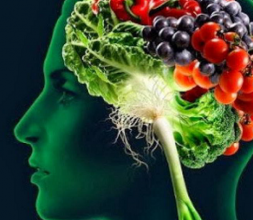 Studies have shown that the foods we eat can directly impact the way we think and feel. Nutrients like omega 3 fatty acids, lycopene , iron and choline have been shown to help improve memory and brain function. Don’t forget that as well as a healthy diet, exercise helps to keep our brains sharp. Research suggests that regular exercise improves cognitive function, slows down the mental aging process and helps us process information more effectively.